Shadow. . Wallpaper and background images in the Shadow The Hedgehog club tagged: thunderjix shadow the hedgehog. sonic: *grasps less tightly* hows this? ME: *WALKS IN* HEY SONIC WHAT ARE YOU DOING!!! 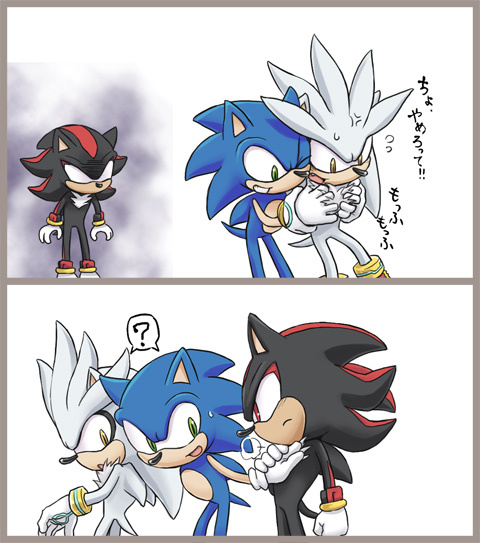 NO THATS MY JOB TO FLUFF SHADOW'S FUR!!!!!!!!! P.S.... is sonic tickling silver?